The final stretch is here and we are excited to announce that the finishing touches are being made to our newest property in Adelaide, urbanest at the University of Adelaide. 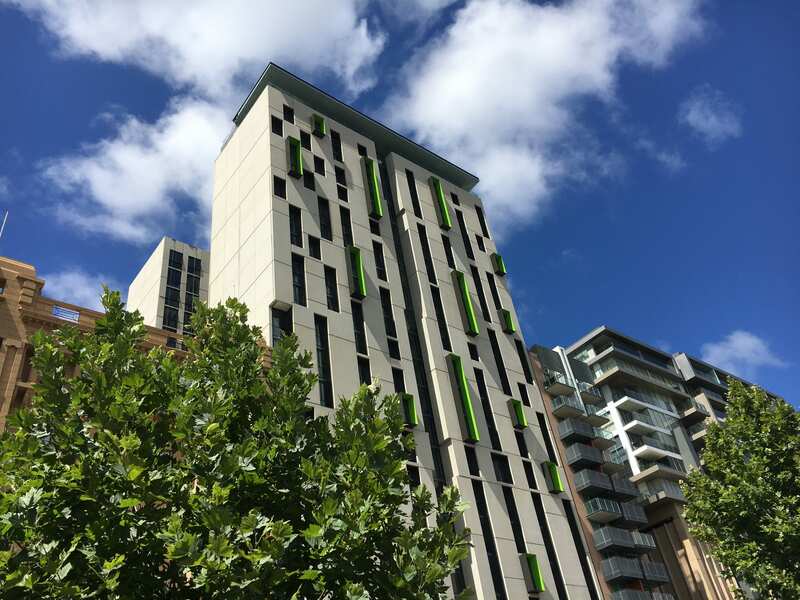 Continuing our long-standing partnership with the University of Adelaide the brand new accommodation will cater exclusively for UOA students, including University of Adelaide College and Study Abroad and Exchange students. Our second property in Adelaide, it is perfectly positioned for students in the heart of Adelaide on North Terrace, right across from the University of Adelaide and is close to public transport hubs and Rundle Mall. 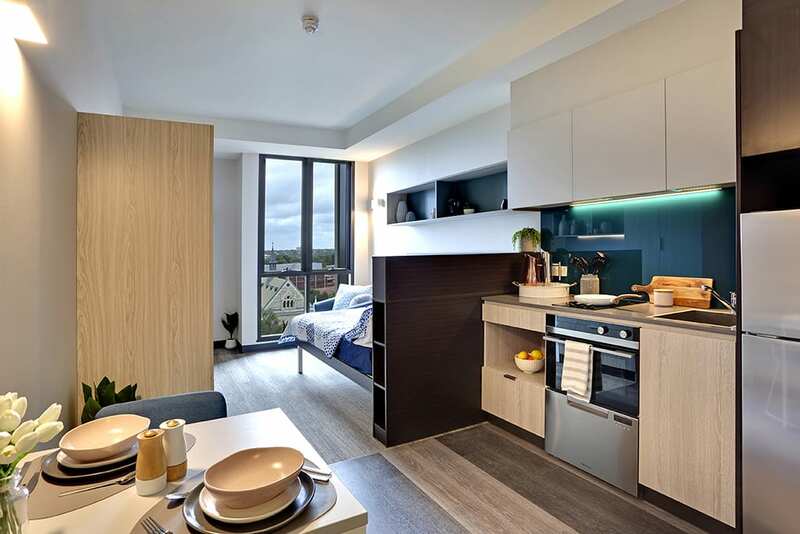 There are 699 beds which include with a wide range of studios and shared apartments to suit all budgets, as well as fantastic social spaces including a cinema, gym, study spaces and rooftop and BBQ area. Always looking to improve the experience of our customers, research on customer insights and functionality for rooms helped to inform the design of new product types which have been introduced in this property. The new Private Twin Share Studio creates additional privacy for students sharing in a studio through sliding privacy screens, while maintaining natural light in the rooms and air flow. AVA Architects successfully captured the streetscape of Adelaide in the design, if you’re wondering which building it is – look out for the bright pops of green! 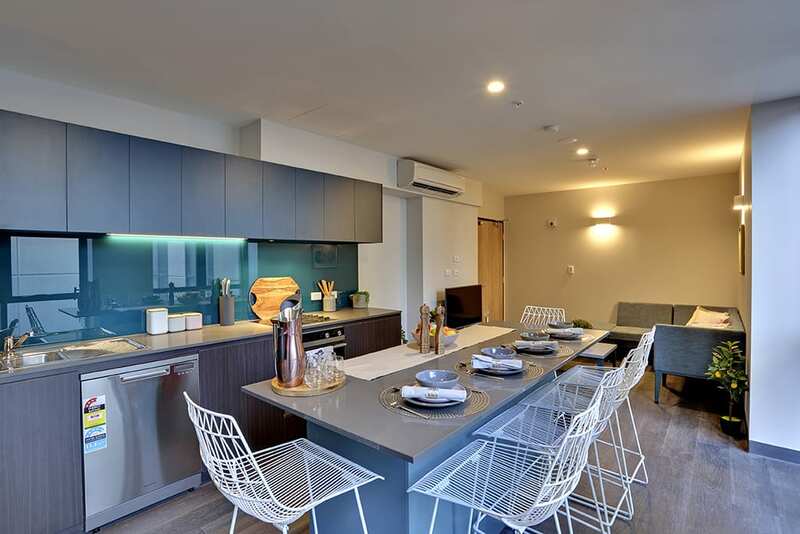 We’d like to thank AVA Architects and Built Environs for their hard work in the design and development of this property, ensuring that urbanest at UOA is ready to welcome our incoming domestic and international residents! New design: Our Private Twin Share Studio gives our residents more privacy in a twin share environment. Social and spacious: The shared kitchen and lounge in our 5 Person Apartment creates a great space to engage with your roommates in the comfort of your apartment. 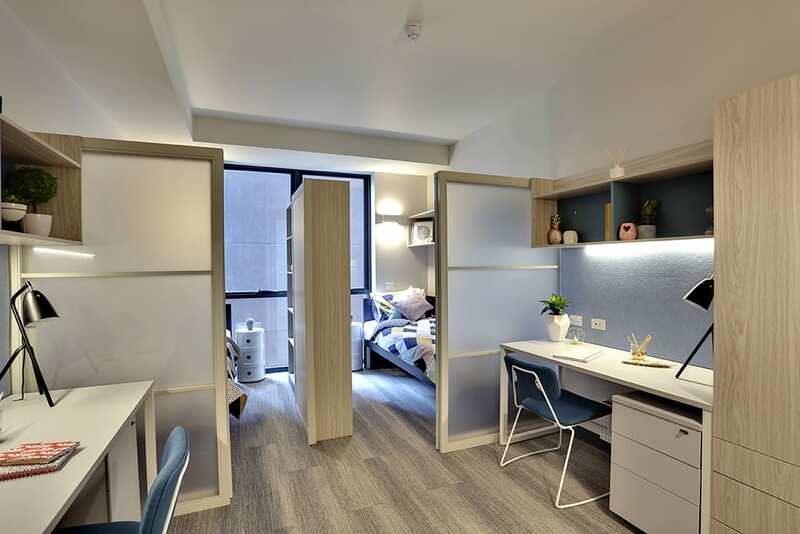 For those looking for privacy: Our self-contained Large Studios give residents full privacy, while still being able to socialise in common areas throughout the building.